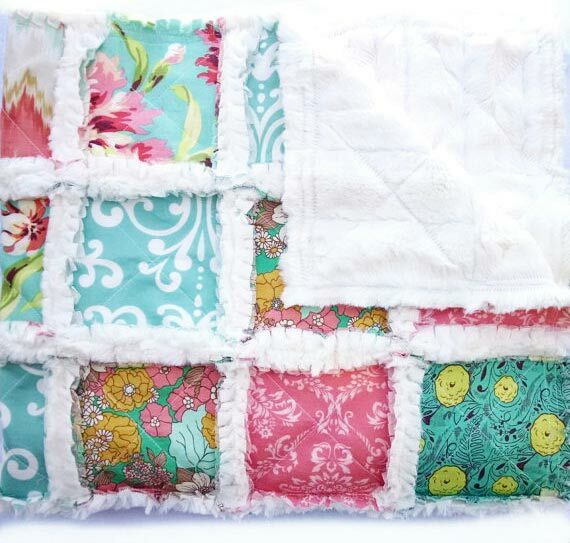 I follow Whitney on Instagram, where I’m constantly amazed by the masterful way she puts a quilt together. 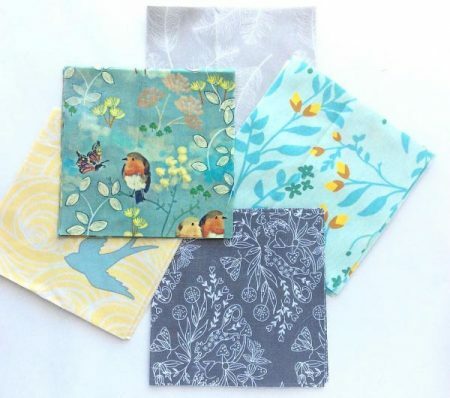 She does this because she’s got a great eye, and also because she gets how to take advantage of Spoonflower’s low purchase minimums, high quality fabrics, and endless variety of original designs by independent designers. I bet she has other sources for her fabrics, but I found her—or rather, she found me—via Spoonflower. 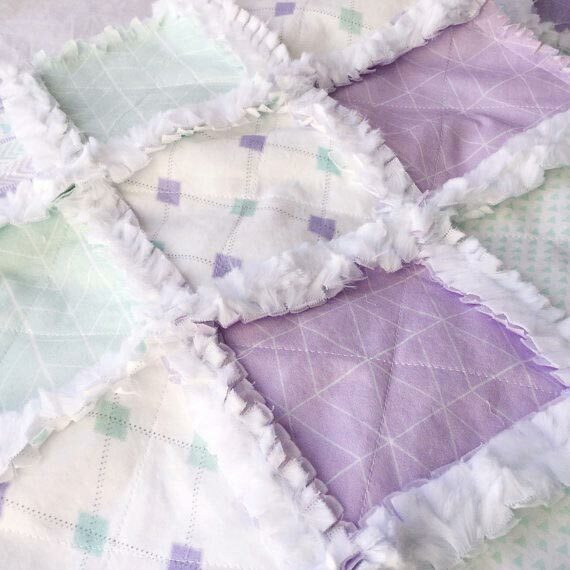 I recently created a set of my favorite patterns in a single colorway (lavender, seaglass/mint and white: have a look), which landed me smack in the sights of her brilliant scheme. She bought fat quarters of three (that’s them at left), and matched them with other complimenting patterns for the quilt above. 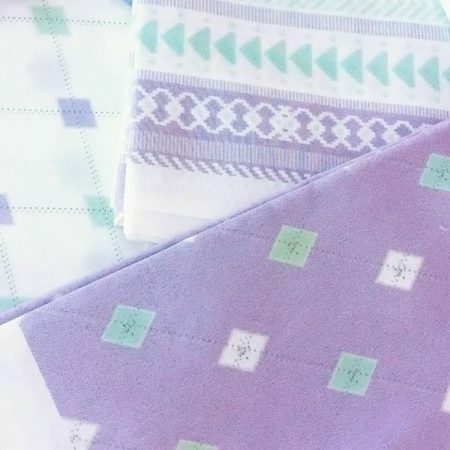 Follow Whitney on Instagram and/or Facebook to be inspired her ongoing color/pattern brainstorming (and also to catch her occasional sales and giveaways). 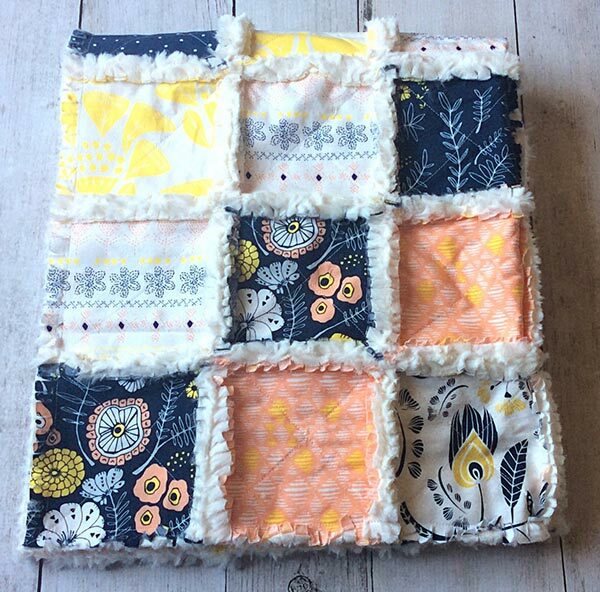 If you want to buy one for a baby near you, see what’s ready to ship right now on her, Etsy Shop, or contact her about a custom quilt (you may want to move fast for a custom order: she currently limits those to five a month). All photos in this blog post are by Whitney Hurst.